Nous Parlons Français. Providing cash flow solutions throughout Montreal, Quebec, Nova Scotia, New Brunswick, Prince Edward Island, Newfoundland & Labrador. Riviera Finance is an invoice factoring company providing the following services for companies in Montreal, Quebec, Nova Scotia, New Brunswick, Prince Edward Is, Newfoundland & Labrador. This company found Riviera online after they were awarded a two year service contract to lay pipe for a company in the farming industry. They invoice on a monthly basis after services are provided and their customer pays within 60 days. They needed a cash flow solution in order to meet their regular payroll. 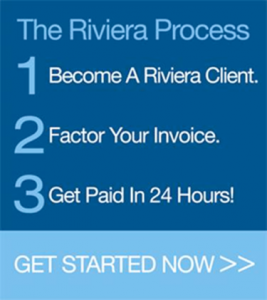 Riviera quickly approved and provided the funding necessary to keep the business operations moving.